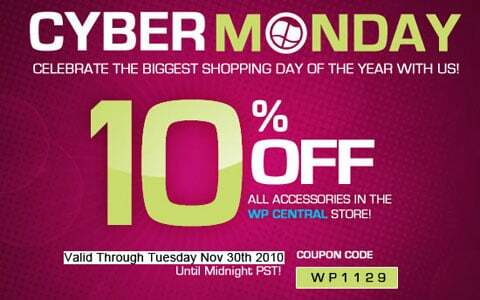 Get 10% off all Windows Phone and Windows Mobile Accessories in the WPCentral Store with the Cyber Monday sale! Simply head on over to the store, select your Windows Phone, and then get shopping. On checkout, use coupon code WP1129 to automatically get 10% off your purchase. Shop for Windows Phone Accessories now!